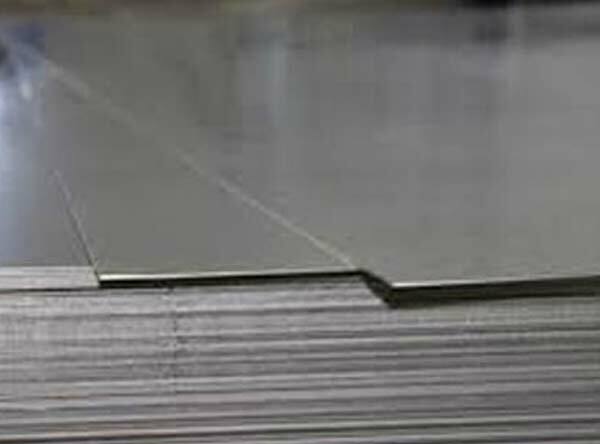 Titanium Grade 7 Sheet Supplier, Titanium Grade 7 ASTM B265 Sheets, Titanium Alloy Grade 7 Sheet, Grade 7 titanium sheets, Titanium Grade 7 Chequered sheets, UNS R52400 Hot rolled sheets, Titanium Grade 7 Perforated Sheet, manufacturer, Suppliers, Exporters, Mumbai, India. Titanium Alloy Grade 7 Sheet has outstanding corrosion resistance and useful strength at low density. A small addition of palladium has been made to this alloy for a substantial increase in corrosion resistance. Titanium grade 7 sheet is a corrosion resistant alpha titanium alloy with similar mechanical properties to the commercially pure grades. It has a small palladium addition to improve corrosion resistance, particularly in mineral acids and strong brines. It is used mildly reducing or fluctuating conditions. At room temperature it is an alpha alloy. It transforms to beta phase at 913°C, and the alpha phase returns on cooling 890°C.